So there's Tropical Storm "Gorio" now. My husband R sent me a message and told me about the end of the world for them in Central Luzon, haha. That guy can be so exaggerated. No. Actually, he's telling the truth. I was there when May rain showers started and it was just a rain shower, not an oh-it's-raining-cats-and-dogs kind of rain but the big drops of water and the wind's mad attack annoyed me to bits. I'm not a rain-lover. There's nothing to do when it rains. You stay at home, watch TV all day and snuggle in bed. I can do that even if it's not raining, you know! But you can't do most of what you can actually do during summer when it rains. Technically, you can but you'll freeze to death. Yes, great grey sand went to my in-growns but the heck, I miss the feeling of the sand on my feet! A month just passed and I already miss summer. The soldier, the little firework and I had been to four swimming escapades this past summer vacation. One of those was in Bagac, Bataan. It was a Rayala family outing. One of my sisters-in-law organized it. They have been to the place two years ago so I guess they must have loved there that they went there again. I was expecting that the resort will be like those Rhambo and I have gone to. Forgive me if I will rant. As a summer-lover mom blogger (Wow, that rhymed! Lol) who goes on beach vacations to relax, I felt the need to share this with you. 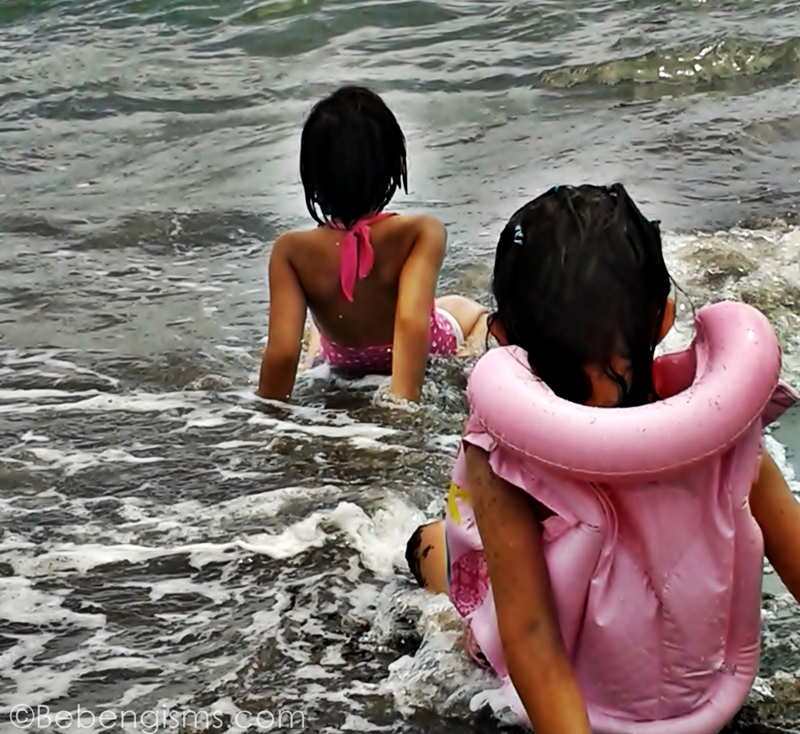 The family went to Fajardo's Beach Resort in Barangay Pag-asa Bagac, Bataan. The road going to the resort is a narrow residential street that is just full of people loitering around. I felt so heavy. I'm the type of person , who can't find bliss in so much crowd. It already irritated me. When we reached the resort, I haven't seen the rooms and its entirety yet but my hunch was right, it's almost a "general admission" kind of beach resort. Entrance fee is Php50, which explains the endless arrival of guests. I don't belong to Class A or B of the society but when it comes to going on a vacation, I'd really pay to relax. Thanks to my husband who has not brought me to places that could irk me to write negative things here. Hehe. Okay, so what did I find out? Water supply in the bathrooms - poor. I was at the actual scene. I turned on the faucet and no water came out. I wanted to scream but since I did not want to spoil the family's giggly disposition, I kept mum about it. I just quietly uttered,"ay, walang water." Like what I said, it's a public beach. I wonder why they have so many *unwritten* rules. I mean, rules should apply to those with good amenities and facilities. Right? If my husband didn't talk to the owners, I was sure I got really, really bored. They didn't want to place the videoke machine in front of our rooms. We were occupying two rooms beside each other so there's no neighbor who would complain, because WE were the neighbor. So yes, because they were "napakiusapan", I rented a videoke machine that the whole family enjoyed. 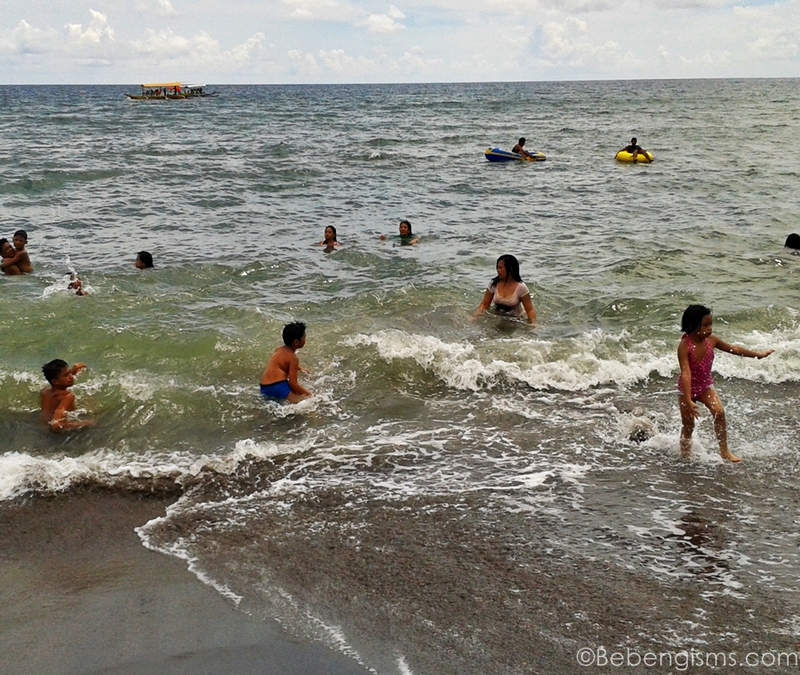 I have nothing against the beach itself because it's what Bataan has. I'm not just really a fan of gray sand beaches and wavy sea. We were tossed and turned like romaine lettuce in a salad bowl. Great thing the kids still enjoyed. Come bedtime, R and I knew there's gonna be trouble. There weren't enough space for everybody. Again, we pay to relax. So I talked to my Fundador-slightly-drunken husband about it. Okay, it's not like he was gibberish already that his "s" has "h" when he talks. He was still sober but already a bit suplado (oh forgot, he's suplado since birth). We moved in to another resort to spend the night. Boy, was I super thankful for our soldier friends! We went to White Sand Beach Resort in Salaman, Bagac, Bataan. It doesn't have a 5-star hotel by the beach but the rooms are a lot better than Fajardo's. According to its owner Louise Black (whom I met the next morning, a lovely lady in her 60s), her resort is "semi-private". I must agree. It's like from the movies where the celebrity runs away from the press people and hides in a farflung beach resort in the province. 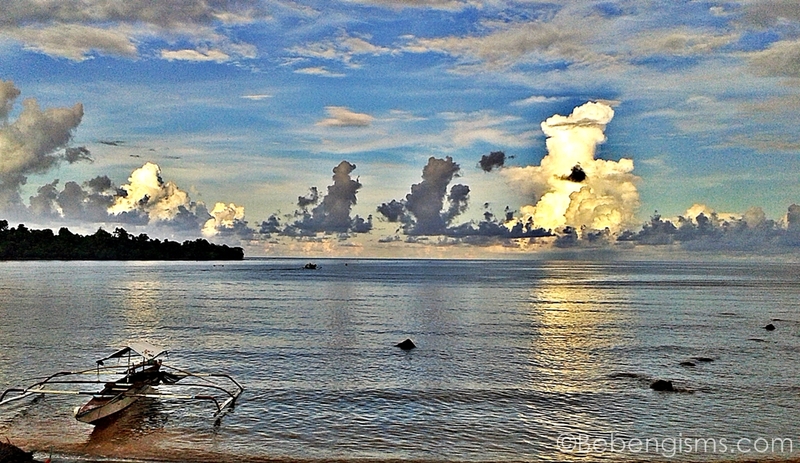 Boom - enter White Sand Beach Resort. The sand's not dark like what Fajardo's has. The resort's name is White Sand but the actual sand's light brown. Hihi. Not bad at all. 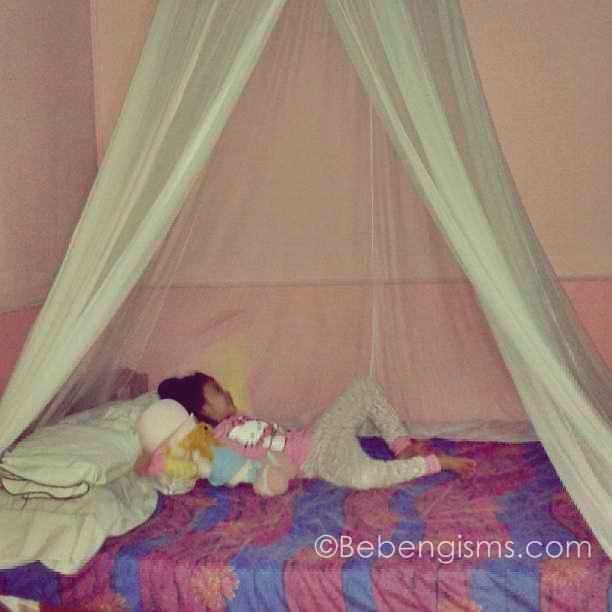 The room's really comfortable that my darling daughter, Sophia slept in one position! The view in the morning was breathtaking. Our room was at the beachfront and I could appreciate all the glory God had showered that morning. However,we needed to go back to Fajardo's because we left all of our things there. And after all, we were there for the whole family. Family is family is family. Naku, very maarte ako pagdating sa mga outing. Haha! Buti hindi naiinis sa akin si Daddy A. :)) White Sand Beach Resort looks so much better! :D We've never been to Bataan so I'm taking note of that resort. I miss the beach! May napuntahan kaming beach dati sa Bataan, hindi sya white sand pero fine ang sand nya at malinis. 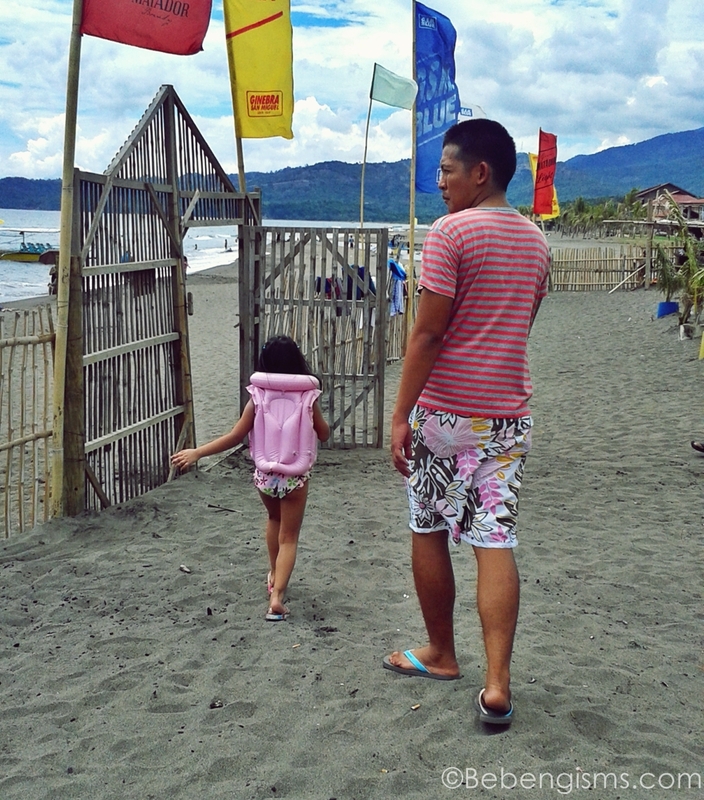 Great post :) Lalo ko tuloy namiss ang beach. Yes, Krisna. Kakaloka lang din kasi. But I think sa iba okay na yung ganun. But for us who want nothing but the best, of course it's not enough. Naku po! Siguro kung ako napasubo sa ganyang resort at ako ang nagyaya kay J katakot takot na sisi aabutin ko niyan. Magsusuplado yun dahil walng water though cowboy naman siya kaso ang lagi niya defense ay meron kami mga anak kaya di pwede hindi comfortable. You're right you pay to relax not to whine. Good thing you enjoyed the vacay still. Thanks for sharing! 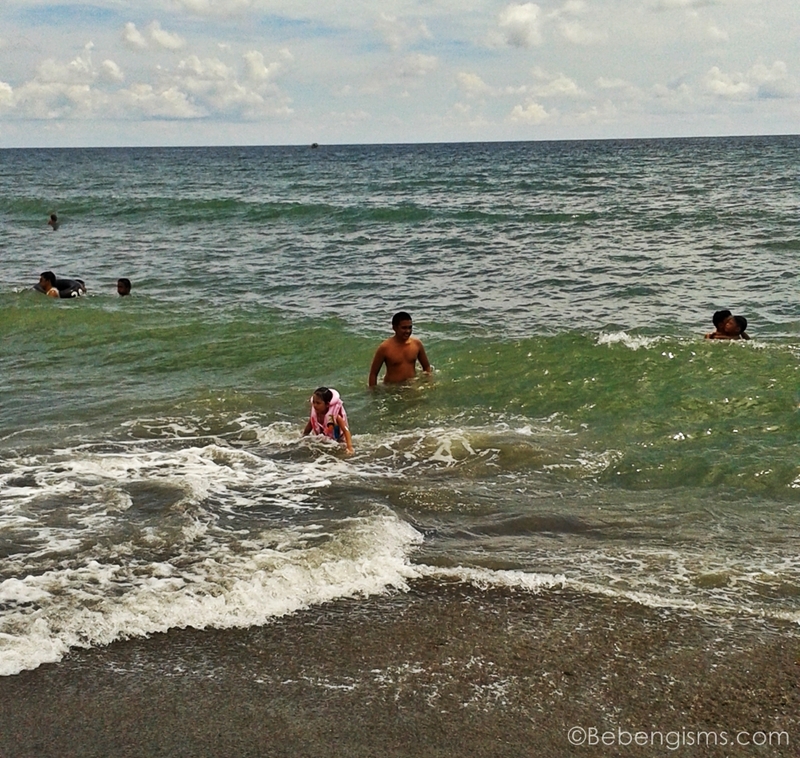 Planning to check out the beaches of Bataan (plus a Las Casas side trip) with my balikbayan cousins early next year. Now I know to stay away from Fajardo's! ano ba naman itong post mo muther.. namiss ko din ang summer! I so miss going to the beach :( Me too not a fan of grey sand hehe. I can imagine the horror of having no water in a bathroom hehehe. 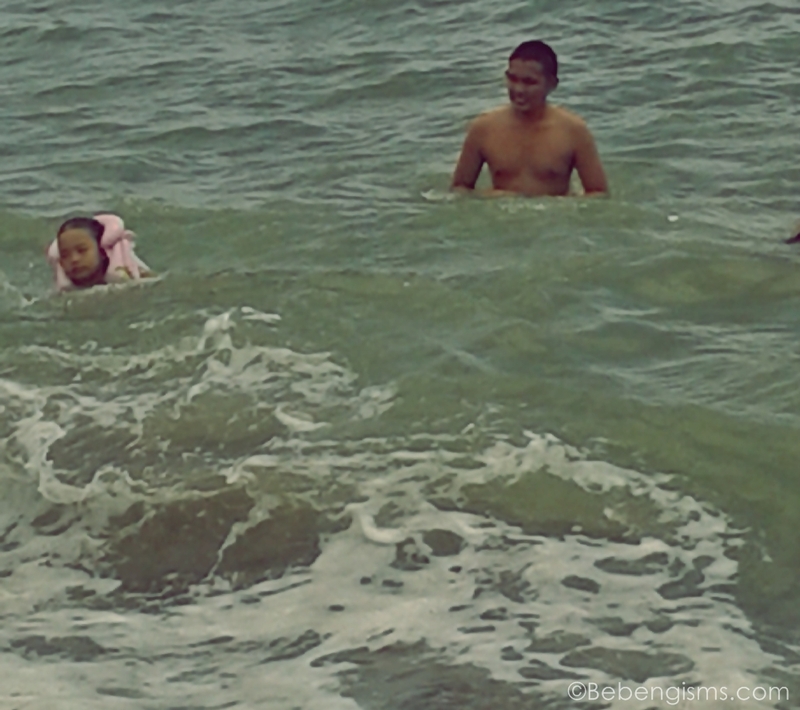 you should have visit Baler :D lol :) well atleast naging masaya din ang kids kahit panu db muther. pero xmpre mas enjoy ang vacay pag kumpleto amenities tapos maganda ang service.